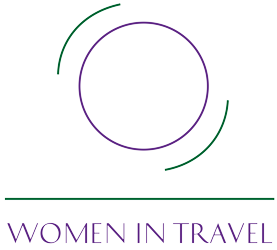 Women in Travel (CIC) has launched a programme to get women back into Travel Tourism and Hospitality jobs working with charities including Crisis UK, Refugee Council, House of St Barnabas, Bread Winners and others. According to the British Hospitality Association approximately 60% of employees in the tourism and hospitality industries are women, yet only 15% are in senior management positions. Today there are circa 24,000 fewer women in management positions in the hospitality sector than there were in 2010 and women working in the hospitality and catering sector in 2015 were on average paid 18% less than their male co-workers. In a recent AWTE (Association of Women Travel Executives) commissioned research it is said that ‘[…] Gender diversity was and has remained lower among the tour operators where women represented 10% of all board members in 2015, compared with 20% in 2015. When it comes to the airline industry Flyer magazine quoted in 2015 that female pilots remain a rarity; worldwide just 3% are women. Yet, according to Forbes, women make 80% of [spending] decisions and are expected to spend $125 billion this year. So 80% of all travel decisions are made by women regardless of who they travel with; who pays for the trip or where they go. In addition, the percentage of women business travellers has taken a huge upturn and in the US 47% of all business trips are now taken by women. What this means is that women are increasingly influential in the travel, tourism and hospitality sectors both as consumers and professionals. Companies that take a more inclusive approach to their talent management and recruitment strategies are likely to see benefits directly on their bottom line! Our women returners programme offer a unique approach in that the talent we make available is currently ‘hidden’ and ‘invisible’ to companies, yet keen to be discovered. Employers can download our full presentation or one page summary. There is also an introductory leaflet for women who are interested in joining the programme. Women in Travel & supporting charities identify & select women who are ready to return to work. These women may have been out of work for a variety of reasons; personal challenges such as illness or elderly care might have made it difficult for them to hold a job. Their confidence might have also taken a knock along the way. However, they are now ready and motivated to get back into work and will be selected by Women in Travel (CIC) to go through the next steps of the programme in the hope to land a job in what they recognise is a great industry. Currently the programme is focussed on London based candidates and jobs but in due course we are looking to expand to other parts of the UK. A one week long programme provides employability training; mentoring; industry knowledge with opportunity to meet and be interviewed by participating employers. Providing employability training; mentoring; industry knowledge with the opportunity to meet and be interviewed by participating employers. The week is run as a series of workshops and peer mentoring groups. Day 1 to 3 Dedicated to employability training, developing soft skills and building confidence so that candidate feel ready to meet employers. Day 4 and 5 Employers are invited in to introduce their own companies; talk about the industry; provide training and presentations around skills, topics and areas that matters specifically to them. In the afternoon of the last day employers are invited to identify and interview possible candidates. We expect to run similar training programmes initially 3-4 times a year, based on demand and candidates supply. This is a great initiative that Digital Dialog is proud to support. As a niche marketing agency within the tourism and travel sector, recruitment has always been a challenge. The programme has the potential to give us access to not only untapped talent but also freshly motivated candidates which is a key ingredient for building a great team. The company is growing and with Brexit limiting the volume of foreign talent available to us we must now tap into a more diverse pool. Alessandra’s programme comes just at the right time and we are sure it will more than pay for itself. A fantastic initiative - it helps women get back into employment and gives us a recruitment resource we value highly - a clear win win! As a fast-growing start-up, at UnderTheDoormat, we are continuously looking for new additions to our team. We are excited to work with Alessandra on her programme as it’s a great way to support talented women and help them shape a better future. With hospitality in our DNA it is a great opportunity to welcome new women into our industry. At MTR Crossrail we recognise the importance of engaging a diverse workforce, reflective of the communities we serve. We offer high quality and sustainable job opportunities with a particular focus on attracting workless candidates. Supporting the women returners in Travel Tourism and Hospitality is a fantastic opportunity for MTR Crossrail to achieve this by engaging with and supporting women in London back into employment. Access otherwise unavailable talent that has been pre-screened and carefully selected. Display good citizenship by recruiting talented women otherwise invisible and lost to the economy. Access a customised, value for money service. Engage one’s employees by investing in a worthwhile venture. Engage with customers: retain and expand customer base/build loyalty. Innovate, by looking at own products through a CSR lens and by bringing diverse talent. Looking to discuss options further? Feel free to get in touch with Women in Travel (CIC) by using the form below. We will aim to be in touch with you within 24 hours.